When to eat and what to eat are constant questions that affect your fitness and health goals as well as your weight loss desires. The answer will vary depending on your goal, but understanding the After, Before, During (ABD’s) of workout nutrition will better help all groups (performance athletes, weight losers, general health clients) reach their personal goals. This understanding of what foods and drinks work best for fat loss and health gains requires a constant search for the individual. Here are some suggestions that will help you figure out what to eat and when to eat it. If you are trying to drop some unwanted pounds and get healthy, proper nutrition and a well arranged workout plan are vital to you achieving that goal. You have to experiment with the types of exercise that will create a good caloric burn, as well as find sources of lower calorie foods that work best for your energy level. Keep track of how you feel during workouts whether they are higher intensity resistance training or lower intensity cardio since it will typically measure if you are eating enough quality foods. If you have significant weight (40+ lbs) to lose, try some non impact cardio options like biking, elliptical gliders, swimming, aqua-jogging, rowing etc. If your goal is to burn fat, your workout should get you into a fat burning zone by the time you are finished exercising for the day. The arrangement of your workout should be calisthenics or weights first followed by steady, aerobic cardio of your choice. Basically, go hard the first half of your workout and burn your blood sugar (anaerobic activity burns glycogen) as your prime energy source first. This can take about 15-20 minutes of intense workout depending on the amount of food you have eaten before the workout of the day. Once you are feeling burned out from that section of anaerobic activity, it is now time to go aerobic and get into fat burning mode. When is the best fat burning time? —- The ideal time is immediately after waking and before having any food. AFTER WORKOUT: Here is where you can stay in fat burning mode a little longer. If you delay eating carbs immediately after your workout for another 30-60 minutes you will be fine and actually still be using fat as your primary energy source. Throughout the next several hours of the day your metabolism will be higher thus burning more calories than having NOT exercised that morning. After a while, you will need to eat good carbohydrates (fruits and vegetables) and a protein serving to recover from the workout. Limit the carbohydrates in a day and try to eliminate sugar. Find what carbs and proteins work best for you and your energy requirements for the day (work, home, kids, etc). For a quick fix and in replacement of food in a pinch, you may choose to have some whey protein powder in milk. You still need to prepare for the next workout session by eating something even though you are trying to lose weight. BEFORE WORKOUT: If you are working out to lose weight and get healthier, depending on your workout intensity, you may not need to have a pre-workout meal. (If your goal is to get into fat burning mode, the fewer carbs you eat prior to workout will decrease the amount of time and effort required to get into that fat burning and low glycogen mode). If you like to work out immediately after you wake up, you are at your lowest in blood sugar for the day. Now is the time to take a short burst of intense exercise then follow it with what is called conversational paced cardio. 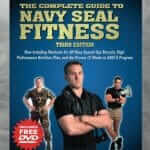 If you can talk and be a little winded you are in prime fat burning zone. DURING WORKOUT: Unless you are working out for extended periods of time to get used to 8-10 hours of some sort of specialized training, food intake during normal hour long (or shorter) workouts is not needed. Just drink water to stay hydrated and if you are sweating profusely in the humid, summer heat you should follow with a serving or two of electrolytes to replace what you lose while sweating. Carbohydrate Options: Multi grain breads and pastas, brown rice, cereals, good carbs like vegetables (romaine lettuce, broccoli, asparagus, carrots), and fruits, (tomatoes, strawberries, apples, berries, oranges, grapes, and bananas ) make great carbohydrates for energy. Stay away from white breads, pastas, rice and any flour baked products. Sugar is your killer – eliminate or at the minimum reduce sugary drinks and replace them with water and unsweetened drinks. Protein Options: Meats, fish, chicken, eggs, nuts, almonds, beans, milk, milk shakes with additional whey protein powder (optional), peanut butter.Try eating boiled eggs and salads in between meals during snack time, or have a few servings with a main course of meat or fish for a good balance of plant and animal protein. Fat Options: Fish, nuts, olive oils, omega 3 fortified products (milk, margarine, peanut butter). Anyone who works out needs to hydrate during workouts to stay cool and avoid over-heating and/or dehydration especially during excessively sweaty workouts, but you also need to add electrolytes (sodium potassium, magnesium, calcium as well.) Foods rich in many of these elements are essential to your recovery from significant water and electrolyte loss. Read How to Recover Fast from Hazy, Hot and Humid Workouts for tips on staying hydrated. STUART FISCHER, M.D., a graduate of Yale University, completed his residency at Maimonides Hospital in Brooklyn, and served as an Attending Physician at Cabrini Medical Center in New York City. He also worked with the late Dr. Robert Atkins as the Associate Medical Director of the Atkins Center. His expertise in alternative medicine, nutrition, and weight loss, is complemented by his strong traditional, hospital-based education. He is the author of The Little Book of Big Medical Emergencies and The Park Avenue Diet. 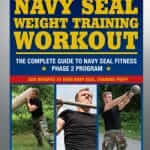 Military Fitness, Navy SEAL Fitness, Nutrition, Tactical Fitness, Weight Loss, Workouts fat permalink.